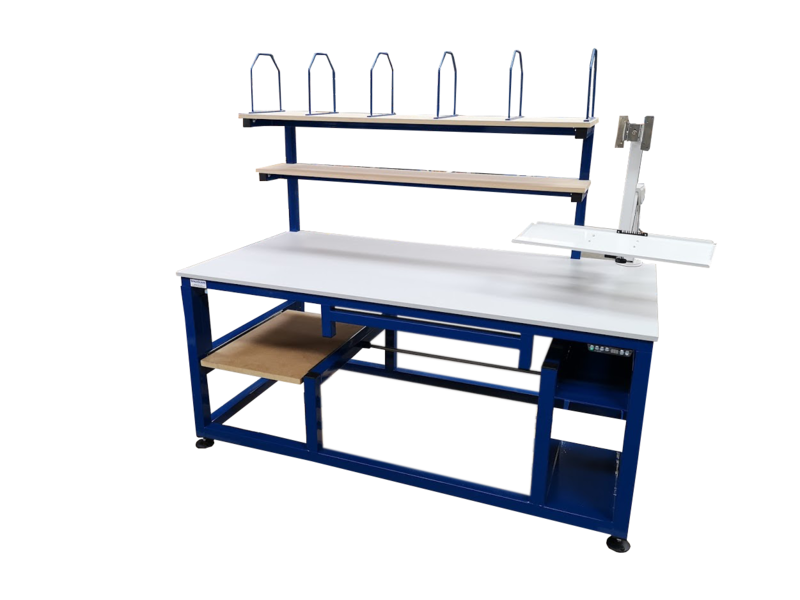 Spaceguard manufacture a range of adjustable height workbenches ideal for applications where height adjustment is required. Suitable for assembly and testing, educational uses, packing workstations and for multi using of worktables. From our UK based manufacturing site Spaceguard adjustable workbenches are robust and built to last. From manually adjustable with tools and pins, through to winding handle or electrically operated. Spaceguard have an adjustable workbench to suit your needs. Work bench products from Spaceguard are ideal for a wide range of uses from simple ergonomic workstations to fully Lean process applications. 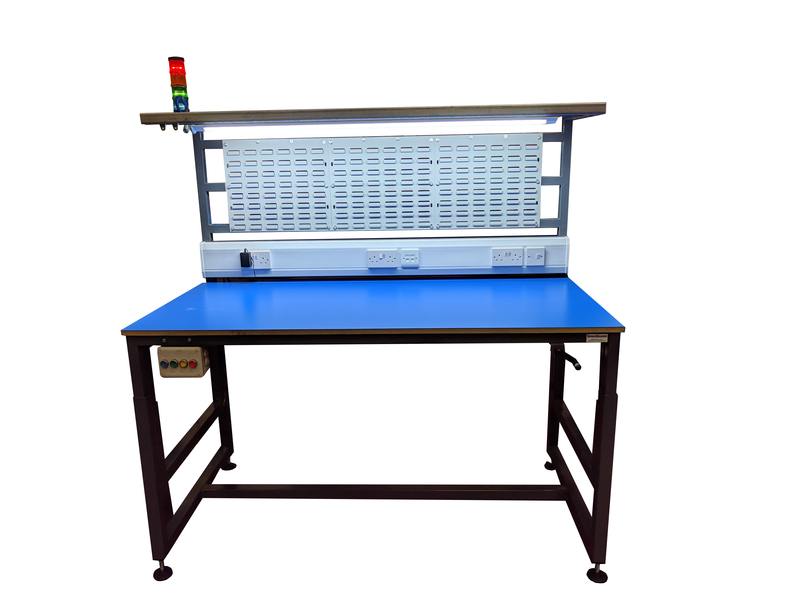 Spaceguard type 1 adjustable height workbench is an entry model bench suitable for a wide range of applications. This bench is ideal for applications which require occasional height adjustment. This bench is available with all the usual Spaceguard bench options. 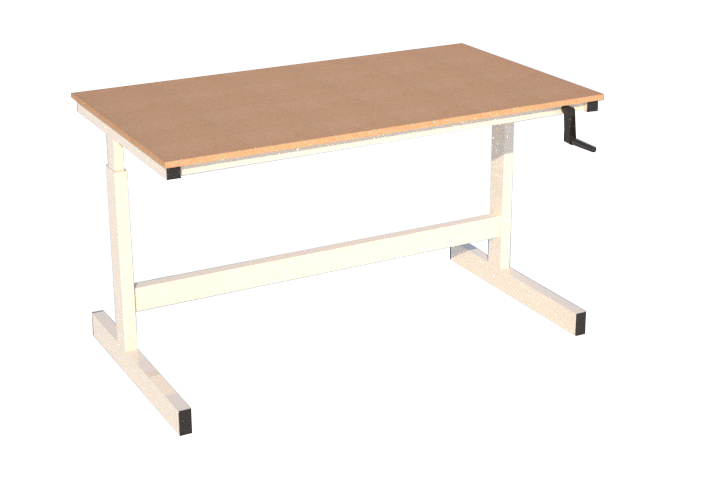 Adjusted using an allen key the type 1 workbench combines the robust build quality expected from Spaceguard benches with the flexibility expected from a basic adjustable bench. Manufactured in our UK factory, delivered throughout the UK and Europe fully assembled and ready for work. Available in all sizes standard and bespoke. Type 2 adjustable height workbenches combine Spacguard‘s aesthetically pleasing cantilevered bench with the simple manually adjustable flexibility of an adjustable height workbench. With the simple pin adjustment the table is easy to configure to the correct height. Manufactured in our UK factory, delivered throughout the UK and Europe fully assembled and ready for work. Available in all sizes standard and bespoke. Combining the aesthetically pleasing cantilevered bench with the convenience of a height adjustable bench which is suitable for constant changing needs. These units are ideal for applications which require multiple heights or were multiple operators have differing height requirements. Adjusted using a crank handle. This unit is easy to use, robust and will give long term reliability. Manufactured in our UK factory, delivered throughout the UK and Europe fully assembled and ready for work. 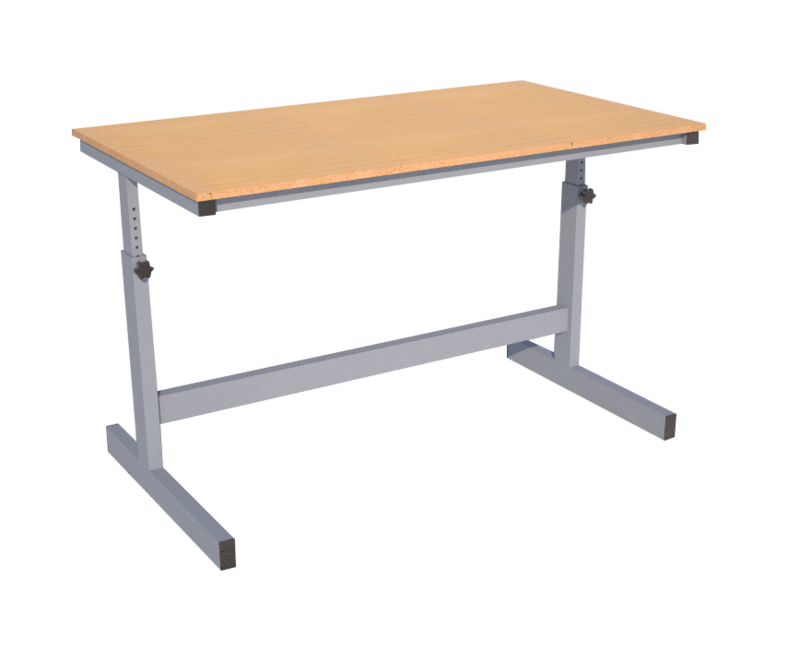 Available in standard sizes the electrically adjusted workbench is great for application which involve both standing and sitting. 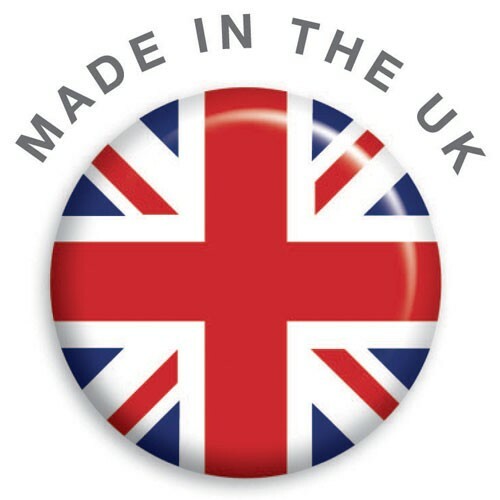 Adjusted by pressing a button to the required height .Manufactured in our UK factory, delivered throughout the UK and Europe fully assembled and ready for work.